Biokpomabo Awara, governorship candidate of the African Action Congress (AAC) in Rivers State, says his party will reclaim the “stolen mandate”, referring to his loss in the election. 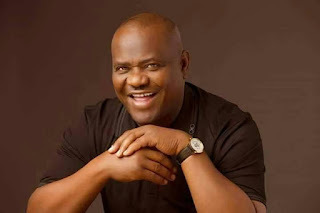 He alleged gross irregularities in the resumed collation of the state governorship election result that saw Nyesom Wike of the Peoples Democratic Party (PDP) reelected as Governor of the state. However, Awara said the Independent National Electoral Commission (INEC) connived with Wike to rig him out of winning the election. Speaking after the announcement of the result, Awara alleged that Lawrence Chuku, his party agent, was denied access to the collation centre.